If you love recreational sailing, or sea-based sport, there’s only one place to be in mid-October. 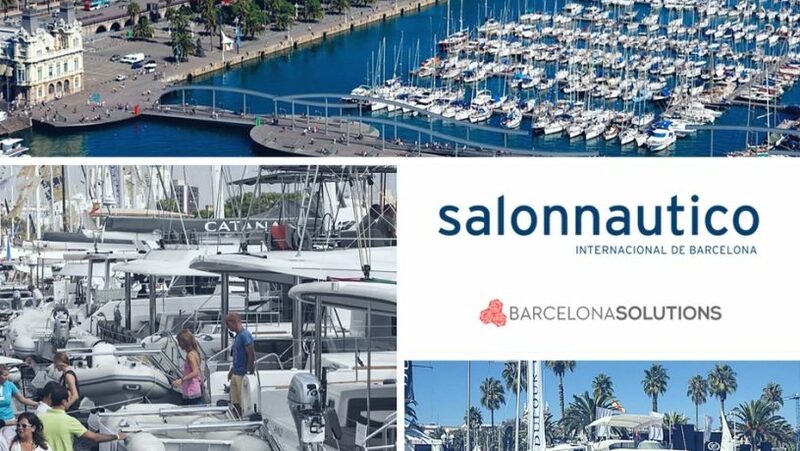 The Barcelona Boat Show – or Salón Náutico Internacional de Barcelona – will be crammed to the gunnels with the latest must-have equipment, gadgets and innovations. And, of course, scores of incredible boats. For businesses, the event represents an incredible opportunity – to meet potential clients and backers, to peek at the competition, to get business advice from experts and above all, to network. The show is one of the largest of its type in Europe. This year, around 400 companies will take part, representing over 30 countries. The number of boats on display should top 670, with 80 new models and a host of new engines and electronic equipment. Last year’s event offered over a hundred different activities to an estimated 54,000 visitors. The setting for this boating extravaganza could hardly be better. The 2016 exhibition will occupy around 70,000 m2 of the Port Vell area, centering on the quays of España and La Fusta. Even without the exhibition, Port Vell is a fascinating and attractive area of the city, full of squares, avenues, esplanades open-air markets, cafes and of course quays. The neighbourhood boasts a 1918 schooner, the golondrinas pleasure boats, a 50m-high viewing point and 14th century boatyards. It also forms one end of tourist favourite, Las Ramblas. The Salón Náutico is situated on a jewel of a sailing hub in on one of the most vibrant cities in Europe – what more could anyone ask for? The Barcelona Boat Show isn’t just a trade fair. It’s designed for anyone who enjoys, or makes their living from, recreational sailing, boating and water-based sports. With such a diverse audience, the activities and exhibitions encompass everything from hands-on opportunities to splash about to seminars. All the big names in the industry have confirmed their attendance, including Beneteau, CNB-Lagoon, Conade, Fountaine Pajot, Jeanneau, Marina Estrella Marina Marbella, Metropol Marine, Nautic Luis, Sunseeker, Touron, Yamaha and Zodiac. There will, of course, be hundreds of boats. In the water-based exhibition, visitors will find all types of recreational boat, including sail boats, catamarans, motorboats, cruisers and fishing boats. Sizes will range from tiny to 8 metres and over. Fans of classic sailing boats will love the traditional sailing area, which will include boat restoration workshops. The land-based exhibition will complement this with a huge range of nautical products and services. Gadget-junkies will head straight for the electronic devices and navigational equipment; but there will be plenty of more traditional boating accessories, including paints, sails, trailers, engines, fishing gear, safety equipment and clothing. For fledgling businesses, the key event will be the Seminar for Nautical Entrepreneurs on Thursday October 13th. Held at the Espai del Mar, this is an opportunity for business start-ups and entrepreneurs to pitch themselves to established companies and potential backers. There will also be input from established industry players and invaluable opportunities for networking. Other business events include the Seminar on Nautical Sports on October 14th, again at the Espai del Mar. The contributors will include competition boat designers, crews and others involved in nautical competitions. There will also be debates and lectures on many other aspects of sailing and water-based recreation. The organisers haven’t forgotten to include plenty of opportunities for visitors to enjoy the water. The Fun Beach area will offer children and families opportunities for sailing dinghies, canoeing, kayaking and stand-up paddling. And as this is Barcelona, the fun doesn’t stop when the sun goes down. The ‘swim night’ and kayaking race, for example, will involve a mad two laps dash around a 2.5km circuit. But if that sounds too exhausting, then live music, fashion parades and all sorts of dining beckon. In fact, this year, the event has an emphasis on gastronomy. The OneOcean Club restaurant will be active as usual, offering a different menu each day for 35 Euros. In addition, the Nautic Food Plaza and Nautic Village offer plenty of other tasty alternatives. There’s even a Gastronomic Boat Show, organised by publisher Curt Ediciones and held aboard a catamaran. Given everything on offer, the Salón Náutico Internacional de Barcelona is hugely and justifiably popular. Drawing in an estimated 54,000 visitors last year, services in Barcelona can be stretched. If you’re an exhibitor or corporate visitor to this blue riband industry event, Barcelona Solutions are here to make your trip as smooth, productive and enjoyable as possible. Barcelona Solutions take the hassle out of organising corporate travel. We hunt down the best accommodation, arrange airport transfers or chauffeur services, book venues, hire cars. In fact, our start-to-finish service takes care of all your delegate needs, leaving you to concentrate on the event itself. With expert local knowledge and ten years’ experience in the corporate travel sector, we’re the premier provider of Barcelona travel solutions. Call us now and find out how to make your 2016 trip to Salón Náutico Internacional de Barcelona a resounding success.